We have a Hutchinson bottle that according to Hutchbook, has a rarity classification of RARE, with less than 10 known examples. The Hutchbook bottle identification number is NY1369. 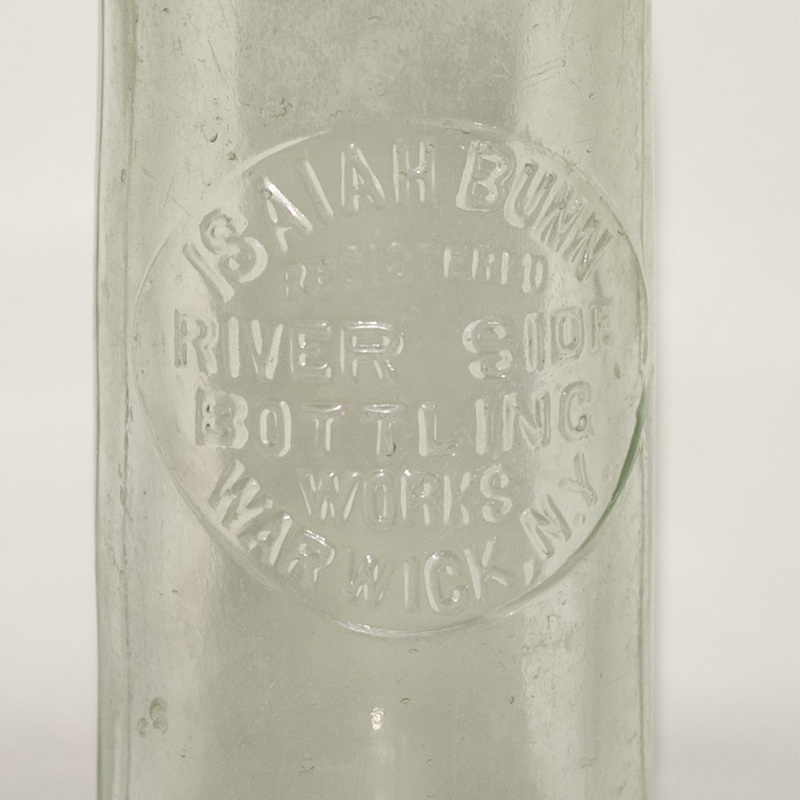 The bottle is from the ISAIAH BUNN RIVERSIDE BOTTLING WORKS of Warwick, New York. circa 1890. I believe that the rarity is based on that the bottle manufacturer made a spelling error, using RIVER SIDE rather than Riverside. 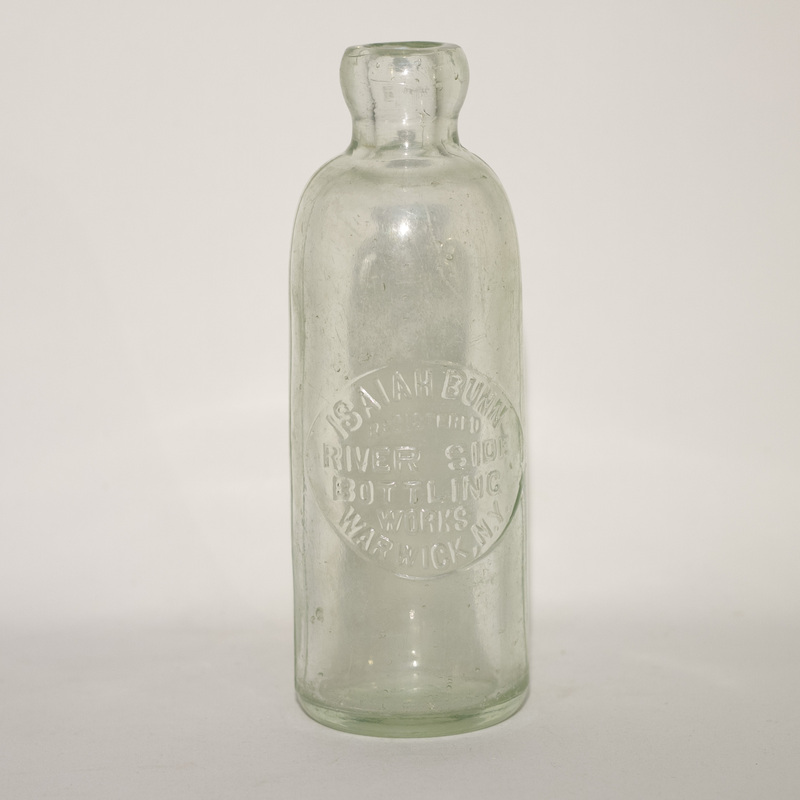 ISAIAH BUNN / REGISTERED / RIVER SIDE / BOTTLING / WORKS / WARWICK, N.Y.
Base is embossed with a star and no markings on the back panel. 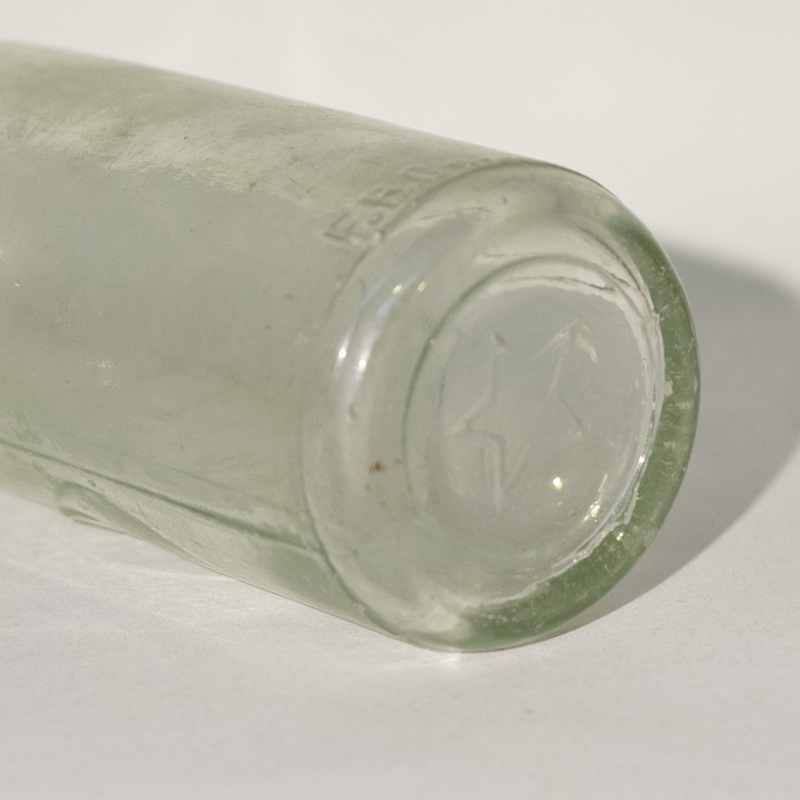 The height of the bottle is approximately 6 ⅝" and the base is 2 ⅜" across. The color is a very light aqua--almost just a tinge of aqua. Seams from the base to the shoulder run on both sides. It is in fantastic condition with chips or cracks but does have a scratches from use. I have researched the bottle as far as I can--even digging through old Warwick newspapers from 1890 - 1980 to find out more about Isaiah Bunn and the business he founded in 1890. (Bottled soda water, summer drinks and lager, as well as selling ice). With all that said, now is time to determine the value. I would appreciate group members' thoughts and any information you could provide. Since I am not a hutch soda expert or a metro New York City soda expert, I would take an approach of interpolation - that is, what are similar hutch sodas commonly selling for, what is a rare hutch selling for, etc. But first, your bottle does appear to have overall "ground wear" - scratches from repeated use - which does affect the value somewhat. I am not seeing chips, cracks or bruises which is a plus. Similar aqua or clear hutch sodas I would expect to sell mostly in the $50-200 range. If this were an Alaska or Rhode Island soda or if it were a rare Coca-Cola hutch, it would be worth somewhat more but not a huge amount. Those two observations of mine are probably as good a bracket for value as one is going to find. And one might consider that there is a collector of NYC area sodas or perhaps even Warwick, NY bottles that might find this desirable ...one never knows. It might do a bit better at auction because of this but then again, it might just sell at the bottom of my suggested range.